Enjoy this completely private experience to visit Lisbon, one of the nicest cities in whole Europe, in your private luxury car, with a private driver and a private tour guide for you and your group. Take this opportunity to get to know the capital city of Portugal, a city that has a very wide offer of culture, monuments, good food and where the people is always welcoming. You will enjoy this visit in your own private vehicle with your own chauffeur and official tour guide. Get to personalize your own experience. Visit the main sites of Lisbon. You will go to places like the Estrela Basilique, the park Eduardo 7th, the Alfama neighbourhood, Baixa, and many more places! 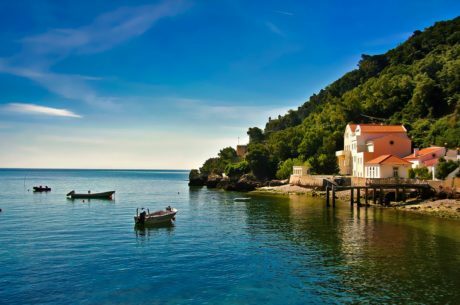 Enjoy this private tour with your own private driver and private tour guide and enjoy the experience of visiting one of the most beautiful cities in Whole Europe, Lisbon, from the eyes of a local. We will pick you up from your hotel or place of choice in the city, and you will enjoy a 8 hour tour where you will be fully interiorized in the history, culture and secrets of this wonderful city. Lisbon has been declared by Lonely Planet by one of the best 10 cities in the world to visit. The city offers a very wide variety of things to do, from visiting historical places and monuments, to fantastic viewpoints, amazing places to eat, and a very rich cultural life. You will enjoy the whole tour while you are guided by a private tour guide, who will illuminate you with all the secrets and history of Lisbon. You will visit Alfama, one of the oldest neighbourhoods of the city, is the birthplace of the Fado music, which has been declared a World Heritage. You will around its tiny streets, with very nice houses all over the area. Near the Alfama area, we can organize a visit to the St George’s Castle, which is one of the most visited monuments in the city. This place offers fantastic viewpoints of the whole city. 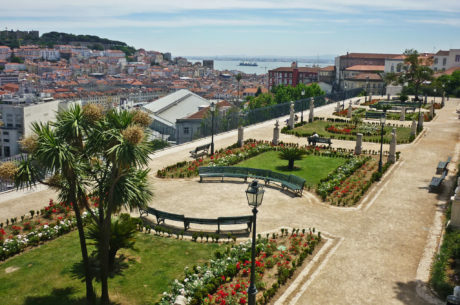 In this tour you will also visit other neighbourhoods of Lisbon like Baixa, which the heart of Lisbon, is where most of the monuments, plazas, grand avenues and the shopping boulevards are located. This area was hitten by an earthquake in 1975, and it has been rebuilded in a neoclassic style, with a Earthquake resistant architecture, which was new for the time. You will enjoy visiting areas like Chiado and Bairro Alto as well. Chiado is where most of the intellectuals live in Lisbon, and Bairro Alto is known for its tight streets and buzzing nightlife, with a wide offer of bars and restaurants. You will also head outside of the city and visit Belem. Belem has been the launching point for the portuguese discoveries, between the 14th and 16th Century, where Portugal discovered many trade routes and developed colonies across three continents. Your driver and your guide will take you back to your hotel or place of choice in Lisbon after you enjoyed this tailor made 8 hour tour. As said, it is possible to organize the tour regarding your own interest and likes. We can arrange the exact duration of the experience to fit your own needs. We have suggested 8 hours, if you would like a shorter or longer experience, don’t hesitate in asking us. This is a tailor made experience, we can always adjust it to your own interest.